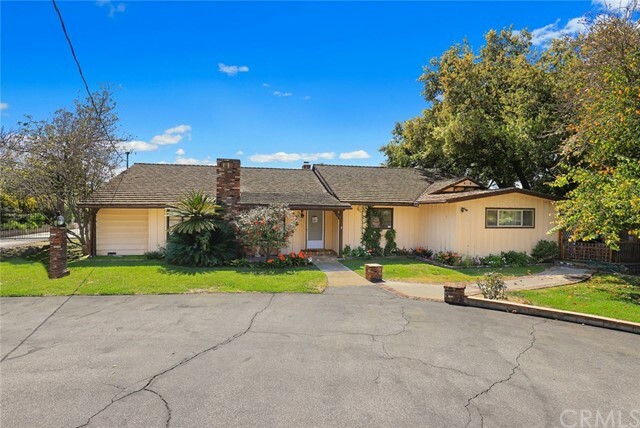 All Bradbury homes currently listed for sale in Bradbury as of 04/21/2019 are shown below. You can change the search criteria at any time by pressing the 'Change Search' button below. 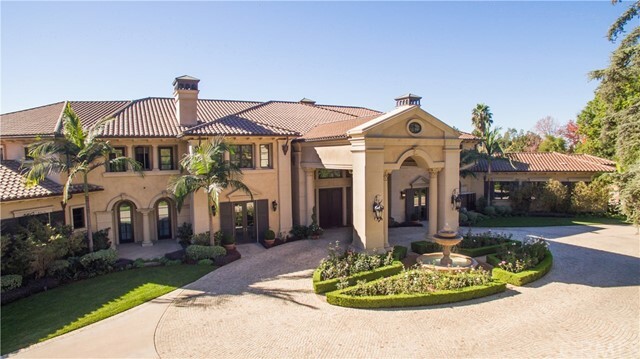 "Presenting a truly incomparable lifestyle beyond the prestigious guarded entry gates of Bradbury Estates, this stunning custom estate impresses in every way. Dual entry gates open to reveal a fully appointed 4.16-acre home site, complete with a motor court with fountain, large pool and spa, a golf course with sand trap, lighted tennis and basketball courts, intimate terraces, sprawling patios, and a covered, open-air entertainment pavilion with full kitchen and living and dining rooms. Panoramic"
"Huge price reduction. Brand new stunning estate located in the prestigious 24 hour guard-gated Bradbury Estates offering exquisite detail, and superior quality with the breathtaking city and mountain views. A long private driveway that leads to a front circular driveway surrounded by sprawling lawns and mature landscaping. Double glass door entryway opens to a dramatic, formal and elegant foyer boasting 22-foot ceilings, hand-painted dome ceilings, sparkling palatial chandelier, fantastic custom"
"Developed by Chateau Operating Corp. and designed by Robert Tong, this brand-new, stunning English Tudor Mansion is nestled in the quiet, private-gated and prestigious community of Bradbury Estates. 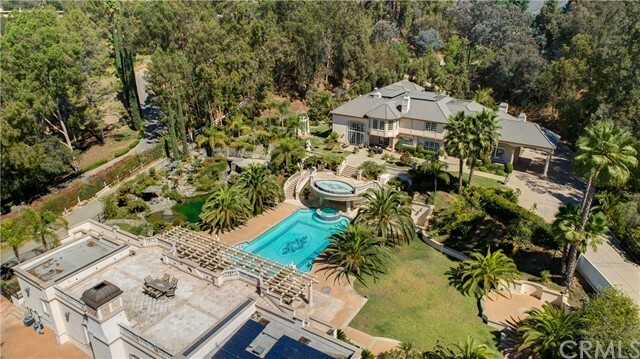 Featuring 16,515 SF of living space on a sprawling 2.45 acre lot dotted with lush avocado trees, this estate boasts an infinite-edge pool, outdoor tennis court, gym, library, theater, separate guest house, two 2-car garages, 10 bedroom suites, 11.5 bathrooms and a circular driveway with a private wro"
"This magnificent estate, located in the elegant and prestigious community of Bradbury, was designed for the current owners by a team of award winning professionals and needed three plus years of meticulous construction to be fully realized. Rated as one of the ritziest zip codes in the country, per Forbes. Recently made available, this 11,059 square foot estate rests on a close to four acre parcel and includes a fabulous floor plan, exquisite finishing details with luxurious materials, large roo"
"THIS IS ONE OF THE BEST ESTATES, BEST QUALITY MATERIALS AND FINEST HOMES IN THE 24 HR GATED & GUARDED BRADBURY ESTATES,YOU WILL BE TRANSPORTED TO A CLSSIC & PALATIAL MEDITERRANEAN MANSION ON A 3-ACRES LOT OF CREATIVELY ACCOMPLISHED LIVING SPACE W/HIGH QUALITY FINISHES & AMENITIES, WILL IMPRESS UPON ENTERING GRAND DOUBLE ENTRY DOORS, EXPOSING ELEGANT CHANDELIER ,GRAND DOUBLE STAIRCASE AND EXQUISITE MAGNIFICENT CUSTOM HIGHLY DETAILED MARBLE AND HARDWOOD ART WORK FLOORING AT FOYER AREA, THIS LAVISH"
"THIS IS ONE OF THE BEST ESTATE LOTS, OVER 5-ACRE FLAT LAND IN THE 24 HR GATED & GUARDED BRADBURY ESTATES, FORMER RESIDENCE OF THE LATE PRINCE AHMED BIN SALMON OF SAUDI ARABIA, HIS HORSE, WAR EMBLEM LIVED ON THE PROPERTY, WON THE KENTUCKY DERBY AND THE PREAKNESS. 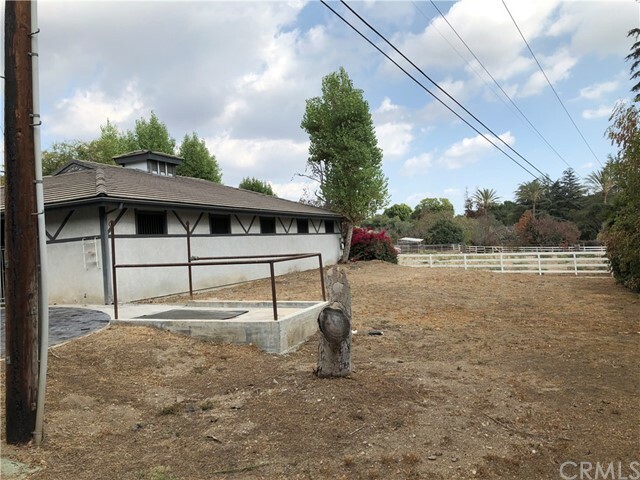 NEXT TO 605 DEODAR LN CONSISTING OF 4.93-ACRE LOT, APN # 8527-004-015,HORSE FACILITIES AND LIVING QUARTERS OF APPROX. 11000 SQ FT,BUILT IN 1996 ,THIS HOUSE ALSO CONSIDERING FOR SELL $9.88M ,BUYER TO VERIFY SQ FT AND BUILDING PERMITS ETC." "Located in the prestigious Bradbury Estates, this regal masterpiece sits on a 24 hour guard-gated 3.13 acre lot with a perimeter of luscious trees that let you escape into your own exclusive retreat. The majestic property features 7 bedrooms, 8 bathrooms, tennis court with a main residence of approximately 6,916 sqft of living space. Upon entry you are welcomed by a grand chandelier staircase, soaring vaulted ceilings, decorative crown molding and granite throughout the house. Each room has a to"
"THIS IS ONE OF THE BEST ESTATE LOTS, 4.93 ACRE FLAT LAND IN THE 24 HR GATED & GUARDED BRADBURY ESTATES, FORMER RESIDENCE OF THE LATE PRINCE AHMED BIN SALMON OF SAUDI ARABIA, HIS HORSE WAR EMBLEM LIVED ON THE PROPERTY, WON THE KENTUCKY DERBY AND THE PREAKNESS. HORSE FACILITIES AND LIVING QUARTERS OF APPROX. 11000 SQ FT, NEXT TO 99 BLISS CANYON RD CONSISTING OF 5.07-ACRE LOT, BUILDING OF APPROX. 6,386 SQ FT, APN #8527-004-023, 4 BED/4BATHS, ALSO CONSIDERING FOR SELL FOR $12M, BUYER TO VERIFY SQ FT"
"Magnificent new custom mansion is situated in city of Bradbury with private security gates and breathtaking panoramic view. This estate offers 10,008 sq.ft. of living space plus 600 sq.ft. basement. 7 bedrooms (6 suite), 7 bathrooms +2 powder rooms. An eloquent grand foyer entrance with dual side wrought iron staircase and luxurious chandelier leads to a living room features chandelier and 24-foot ceiling, and picture window. One suite and library downstairs, library offers custom built-in books"
"Great price and ready to build!! !Looking for magnificent City lights and Mountain Views? Dreaming about the luxury living at the exclusive guard-gated community that is the most expensive zip code in America? Thinking about building your own paradise with worry free for the long process of entitlement and permits? 678 Deodar is ready to build! This permitted, two level Mediterranean master piece is designed by most famous and experienced architect Robert Tong. Total living space to be 20,409 SQF"
"DO NOT MISS THE OPPORTUNITY. BUILD YOUR DREAM HOUSE IN THE QUIET, PRIVATE-GATED AND PRESTIGIOUS BRADBURY ESTATE. PRICE INCLUDES PLAN AND FOOTING IS ALREADY FINISHED. The estate itself has its own private gates, the perimeter of which is surrounded by a smattering of bright citrus trees. The plan features 2-story stunning Hollywood Regency-style Mansions boasts an impressive 116,164 SF lot, with 17,230 SF of living space, featuring a tennis court, putting green, library, private screening room, g"
"This grand French Country Manor was custom built for the current owners and is located in the prestigious Bradbury Oaks Estates in the city of Bradbury. This stunning home, designed by Segoro and Associates, rests on approximately 2.31 acres of lushly landscaped grounds. Attention to detail is evident throughout this impeccably maintained estate. The floor plan is well designed and lends itself to either a large household or multi-generational living. All Bedrooms are en suite, including two Mas"
"Privately sited on a secluded road and featuring spectacular mountain and city-light views this luxurious retreat defines modern magnificence. The stunning approach welcomes home to a large family or perhaps one prefers to entertain. Upon entry, two-story foyer leading to the formal living room featuring a gas fireplace and chandeliers from Fine Art. The grand kitchen includes a double island, high-end appliances, and custom cabinets. A family room with a bar and an Italian mantle fireplace, a h"
"RARE OPPORTUNITY TO OWN AN OVER 2.8 ACRE ALL FLAT LOT TO BUILD YOUR DREAM HOME IN PRESTIGIOUS PRIVATE & SECURELY 24 HOURS GUARD GATED COMMUNITY OF BRADBURY ESTATE. CURRENT WELL MAINTAIN HOUSE PERFECT FOR CASUAL, YET ELEGANT ENTERTAINING, 3 BEDROOMS 2 BATH, CENTRAL AIR, FIREPLACE, EXCELLENT CONDITION. FORBES MAGAZINE RANKED AMERICA'S MOST EXPENSIVE BY ZIP CODE 91008. MANY OF THE RICH AND FAMOUS HOUSES AROUND. 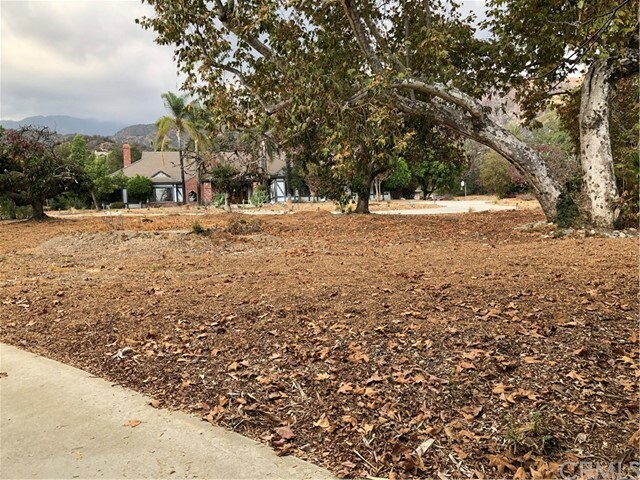 IT IS MINUTES FROM 210 & 605 FREEWAY, A SHORT DRIVE TO ARCADIA, SAN MARINO, PASADENA AND"
"Picture your new dream home nestled on the 3.3 acre lot just below the Angeles National Forest. Great views of the mountains & valley, especially at night when city lights sparkle like jewels spilled across the San Gabriel Valley floor. Tucked away behind the guarded gates, many of the rich & famous have found refuge in this prestigious- semi-secret enclave know as the Bradbury Estates. 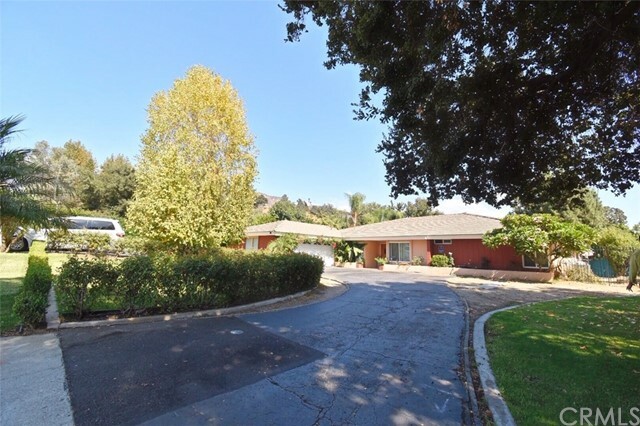 In 2010 Bradbury 91008 was named by Forbes Magazine as the most affluent ZIP codes in the U.S. The city is onl"
"This elegant English Tudor-style home is nestled in the exclusive Bradbury Woodlyn gated community...This community is considered one of the most peaceful and secure areas in San Gabriel Valley and was ranked by Forbes as the most expensive zip codes in the country a few years ago...Main house was built in 1957 and has been continuously remodeled since then...It has 2 master suites, 3 more bedrooms, large living room, entertainment center with wet bar, formal dining room, family room with firepl"
"VIEW, VIEW, VIEW!!! 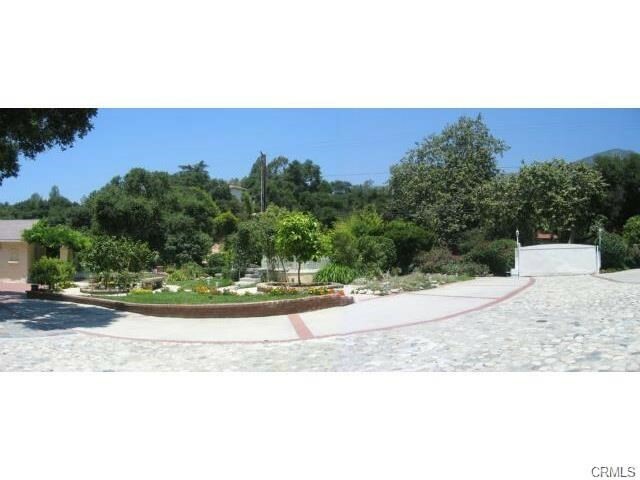 2.5 acres close to shopping, Airports, Racetrack, and schools yet a hidden world of its own. 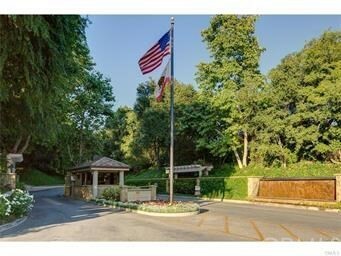 Bradbury Oaks Estates is a gated community located in Bradbury 15 minutes East of Pasadena. This unique property has a 360 degree view. The front faces the mountains and back has a city lights view to enjoy while you relax at your pool. A long private driveway extends to a hilltop home with 4 bedroom and 4 bathroom. One bedroom converted to join the family-room/office area. This is ea"
"This rare duplex is located in the heart of the beautiful city of Bradbury on almost an acre of flat land! The front home is a lovely 3 bedroom, 3 bathroom house featuring an open floor plan. This home has over 2,500 sq.ft., features hardwood floors, two fireplaces, central A/C, & a huge master bedroom w/large walk in closet, and a formal dining room. The kitchen is an open concept & has lots of storage space. 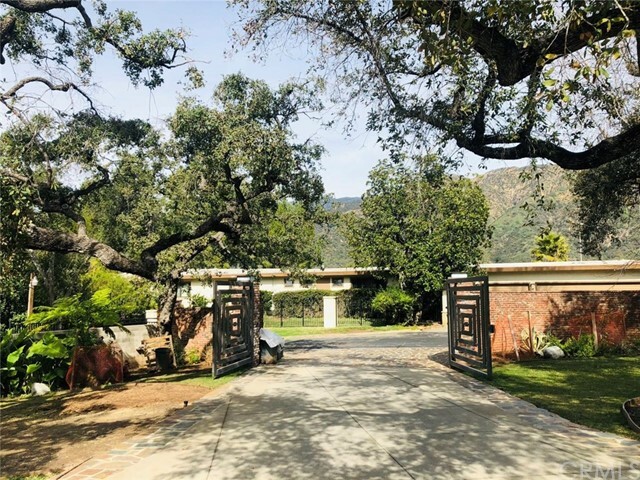 The home s grounds features a huge patio for outdoor entertaining, a lo"
"Amazing opportunity to live in a private, gated estate in the beautiful hills of Bradbury. Located on a gorgeous street in the exclusive High Mesa neighborhood, this single story, 4 bedroom, 3.5 bath home w/ 3522 sq. 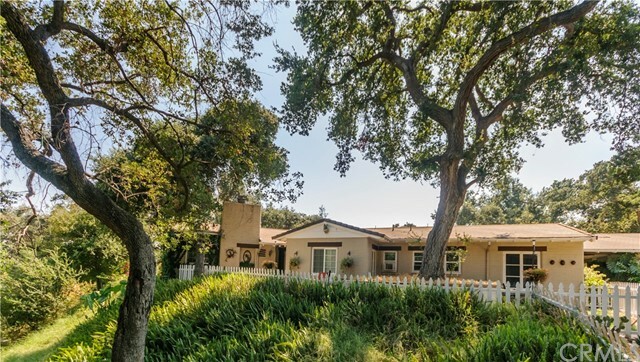 ft. sits on almost half an acre & offers a desirable floor plan w/ room to play, relax, entertain and live the California lifestyle. Home chef's will love the cook's kitchen, formal dining room & spacious living and family rooms. A large master suite includes a brick fireplace and d"
"This stunning Mid-Century Modern home by famed architect Franklin Thornton, features his distinctive curvilinear design elements extending throughout the property and are elements shared by other Thornton designs such as the La Brea Tar Pit s Page Museum as well as being the inspiration for the Norton Simon Museum which Thornton assisted in helping conceptualized and design a few years later. Sitting on over half an acre of lush grounds with mature towering oaks, exotic plants and"
"HUGE $110,000 PRICE REDUCTION!! 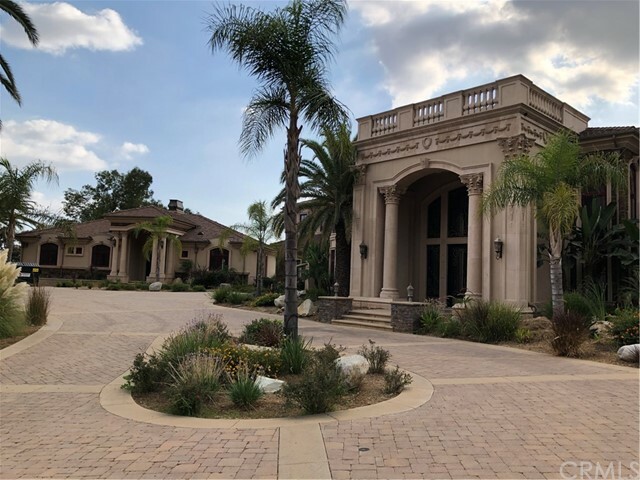 !Welcome to the prestigious city of Bradbury California rated as one of the most ritziest zip codes in the country by Forbes. 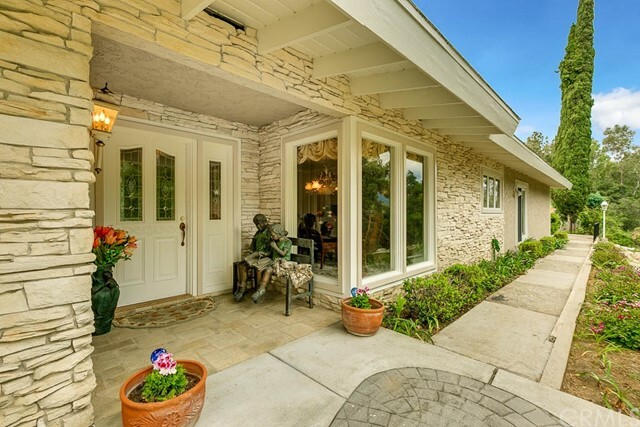 Nestled in the San Gabriel mountains this lovely home with an attached guest house is surrounded by multi-million dollar properties and newly constructed mansions. 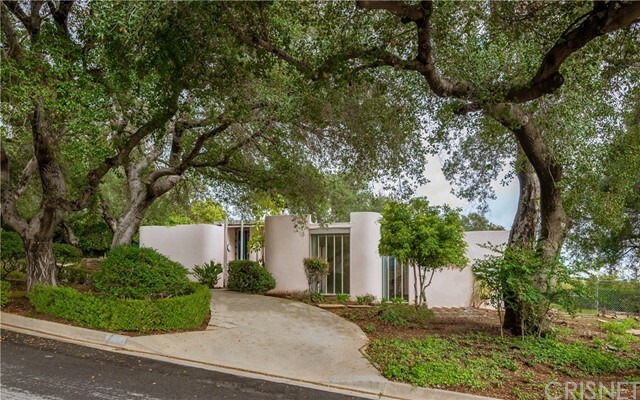 As you approach this property you will immediately notice the circular driveway and amazed with the over 18,000 square foot flat lot, making it a desirable property for rebuilding"